Laura Eubanks is passionate about succulents. They are the predominant feature in her eastern Chula Vista home garden. A small garden that packs a big punch. Her five hundred dollar garden, she boasts. Most of the hard features in the yard are up-cycled materials and many of her plants were cuttings from gardening friends. Laura, a master gardener since 2008, is an active volunteer member in the San Diego master gardener program. and furniture in brilliant colors. and a gorgeous angel trumpet that anchors one corner of the yard. 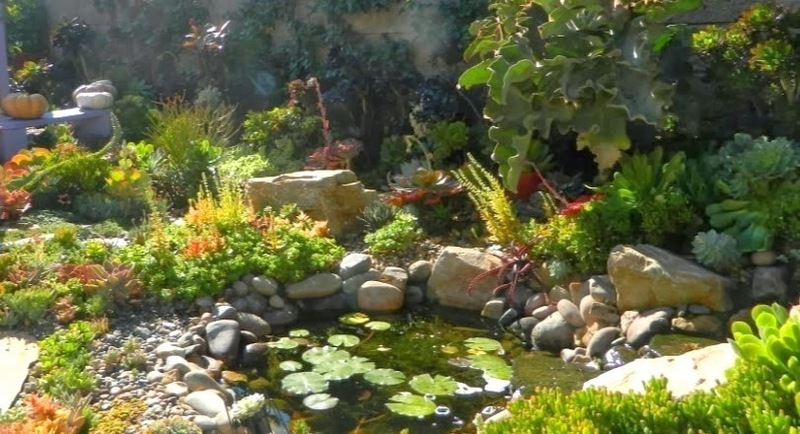 This beautiful garden features a small but elegant waterfall. 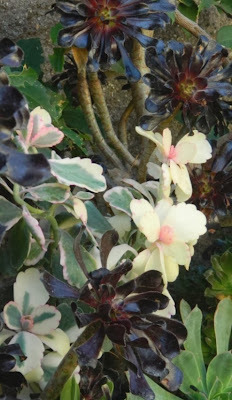 and carved out a specialty in succulent designs. Laura is credited for originating these pumpkins planted with succulent cuttings. She utilizes a moss and glue technique to secure the plants to the top of the pumpkin (they are not cut or carved at all). Succulents make long lasting cuttings because they store water in their leaves. Not only are they gorgeous and colorful, they are so practical. These pumcculents (so to speak) will last for months with occasional misting and the plants will also grow roots. 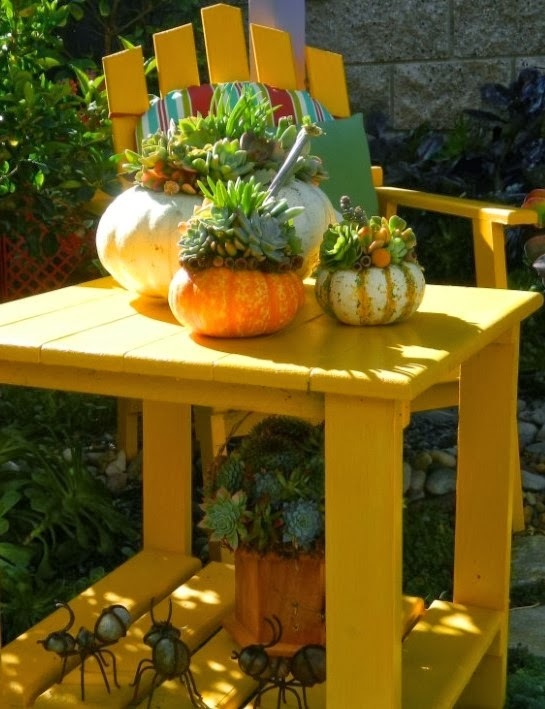 After pumpkin season, remove the succulents, replant them and put the pumpkin out in the yard to decompose. In spring, Laura notes, you will likely have pumpkin plantlets sprouting in the garden. Pumpkins are not the only things she plants up. crocodile, named Roberto, who is wintering in her side yard at the moment. I was lucky enough to attend a pumpkin workshop in her delightful garden. And by the time I finished my first, I knew it would not be my last. Happy Halloween. 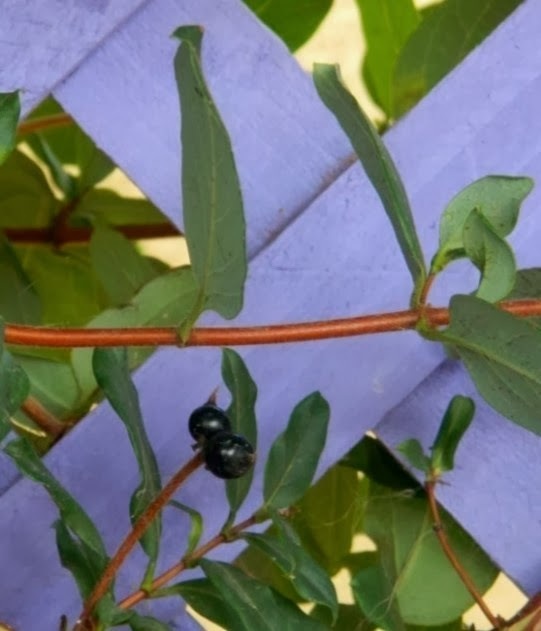 This is GardenEnvy. 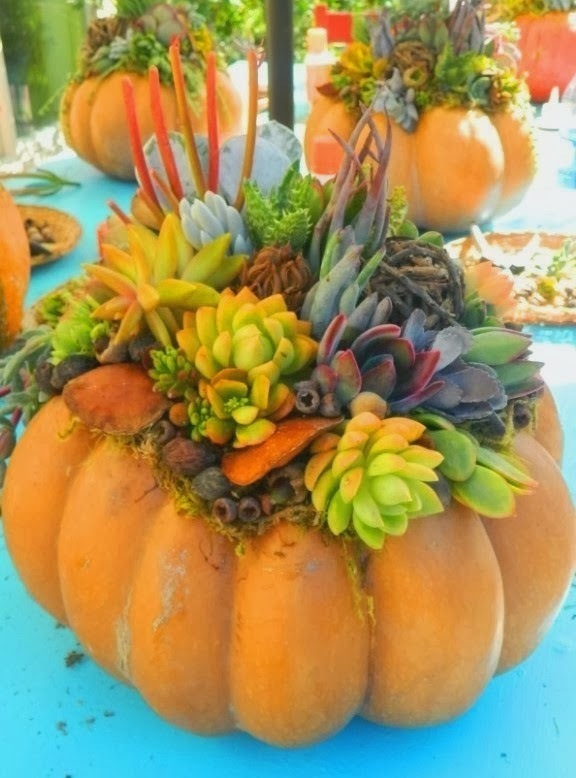 What a unique combo, pumpkins and succulents! Hi Jeannine, what an unusual garden! I love the painted pergola with the wicker furniture. The pumpkins planted with succulents are really fun. I assume the one on the last photo is yours. It looks amazing! The pumpkins are fun! I had a great time making that. De belles couleurs dans ce jardin. J'aime bien cet arrangement de la citrouille. Bonne journée.